The fake news media has spewed so many outrageous lies over the last three years, that they'd have to push something horrific to top garnish any attention, but what was said tonight on MSNBC was outright incredible and dangerous due simply to the vast reach of the ultra-globalist network. The disturbing rhetoric used by the MSNBC host is either a sign that something major is occurring soon, or that he's just an incompetent clown. Regardless, it was both unprofessional and disgusting to watch a “news” network so openly choose to air lies to the nation. As the show progresses, MSNBC brings on David Frum, the far left editor of The Atlantic, to push additional propaganda against the White House. 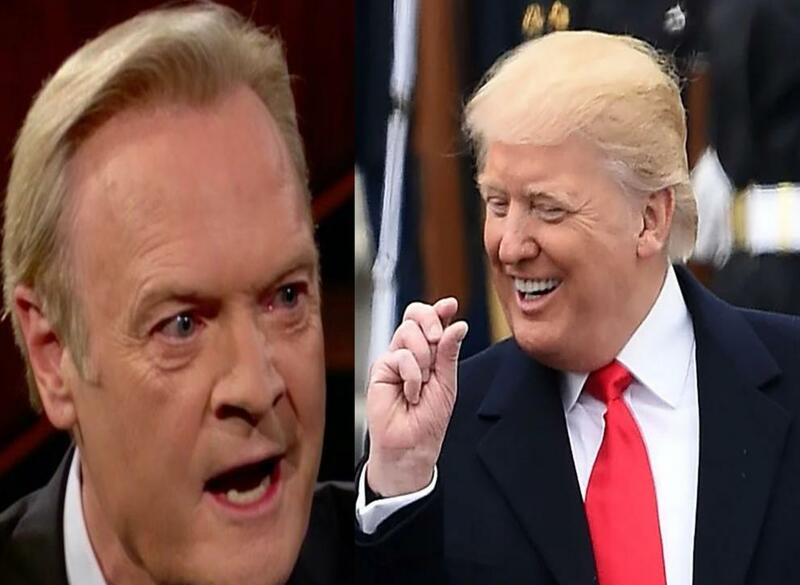 “President of the United States, discussed Impeachment, about himself?” O’Donnell asks as if the President of the United States of America is going to face impeachment when he's not even under any investigation. The ranting is horrendous, and it's distasteful but more than anything else it is dangerous. When the media outlets in our country are propagating these kinds of outright lies, it puts us all at risk. What if one of the viewers from MSNBC believed the lies said, especially knowing that Trump supporters love him, and they tried to retaliate? It's very possible. MSNBC is playing with fire. The above video is a reminder of what Trump Derangement Syndrome looks like, plain and simple. Let's review the three “mainstream media” cable networks, and discuss each whereas they stand in the way of <i>controlled</i> media. There's Fox News, the supposedly Conservative media outlet, which ironically, donates more to the Democratic Party, and than it does to the Republican Party. The next name in “fake news” are known for their lies, long before Donald J. Trump ever considered running for President, and that could only be CNN. As an “old guard” brand of the Democratic Party’s hateful propaganda, CNN is filled to the brim with “Deep State” puppets, such as that of John Brennan, and James Clapper. There's more than one occasion where CNN has even had to retract their propaganda. It's embarrassing when the millions of dollars wasted on the propagandist set of these studios, as well as the talking head behind the camera have to apologize, surely. For those at the bottom of the barrel, there is MSNBC, the most radical, ignorant, atrocious, and unfounded of the three mainstream media networks. This type of hatred for President Trump dates back to the moment he challenged Democrats for President. The 45th President of the United States of America is correct in his assessment of the dangers of the mainstream media spewing lies, and in calling them the “fake news” media. He's also accurate when calling them the “enemy of the people,” based solely upon this known hatred of President Trump and his supporters. Let's not forget what happened to Republicans at the Congressional baseball game, in part because of the lies being spewed by the dangerous mainstream media. We need the interventionist action of some type. When men and women are in danger as a result of the fake news, it's past time to do something. Executive Order the USMC and 82nd Airborne to commandeer all news outlets that are committing treason and subversion. Detain all of the performers(newscaster journalists”) in Gitmo, then fill the waves with the truth. and then the innocent of cnn ~!? not and then the innocents of MSNBC not ! but hilarious , and then the little fox , tisk tisk … in a snare. the gold in the waters shine stronger than ever as does the one the PUBLIC VOTED FOR ! Why do the fake news still have a license to print their satanist propaganda? Lord Haw Haw was simply executed.